Romoss wants you to shop with a heart this holiday season! To make this possible, the company has joined Lazada’s year-end sale, offering up to 50% discount on its select products. 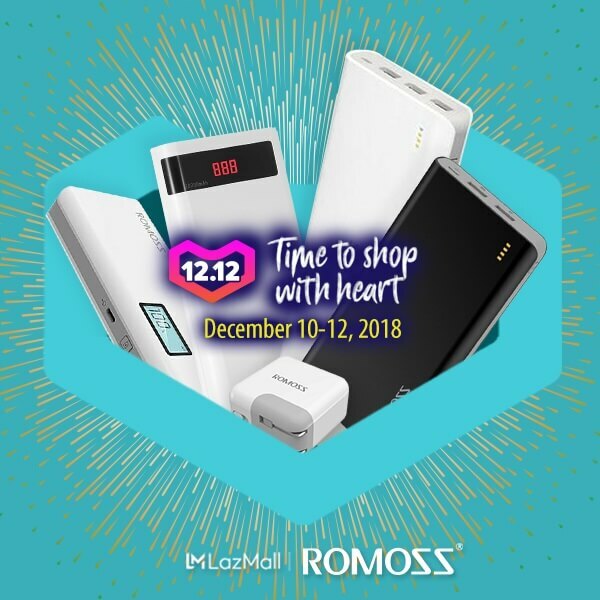 Aside from its participation on Lazada 12.12 Grand Year End Sale, Romoss also announced its Brand Crazy Offers, where it will become extra generous in dropping the price tags of its select devices. The promo is slated on December 10 at 12MN to 2AM. On the other hand, prices of those products will be back to its original year-end campaign tags after the said period. Meanwhile, some of its discounted items include its 30,000mAh powerbank, charger cable, car charger, and adapter. Cool enough, some of its products will cut its price for as low as Php79! Great deal, isn’t it? Lazada 12.12 Grand Year End Sale will happen on December 10 to 12, 2018. Enjoy shopping!